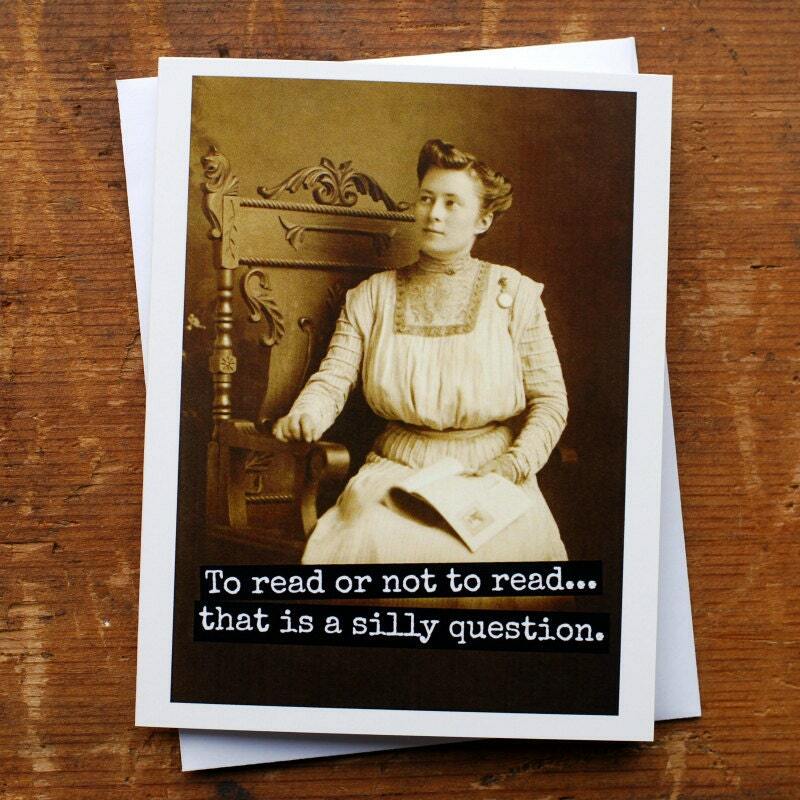 Blank Greeting Card - #21B - To Read or Not to Read. That is a Silly Question. This card features a woman reading her book and reads: "To read or not to read. That is a silly question."